with views to sigh for. 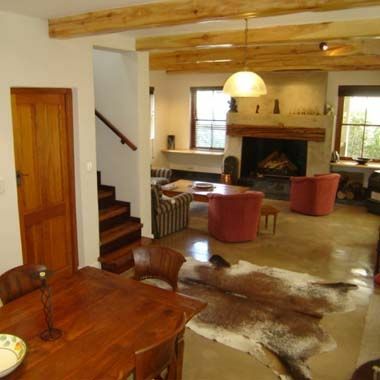 Two self-catering, luxuriously furnished and fully equipped residences are offered. 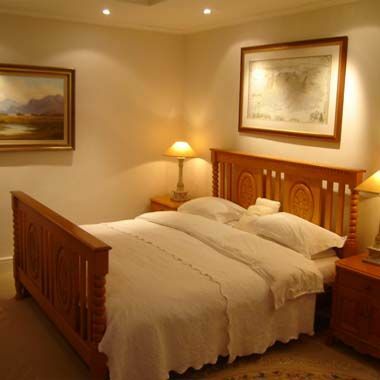 With original paintings and prints, oriental carpets and elegant furnishings to match. 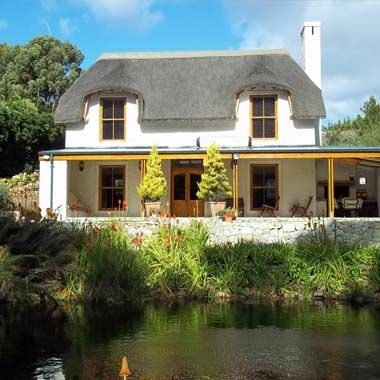 TV, secure parking, security systems, 16 metre long, grey, rim-flow pool and acres of Fynbos garden, river, lakes, and mountain walks to explore. 2 double bedrooms, two bathrooms. Open plan - beamed - lounge and dining room with large open fireplace, fully equipped beamed kitchen with an oven, hob and microwave plus all modern appliances. 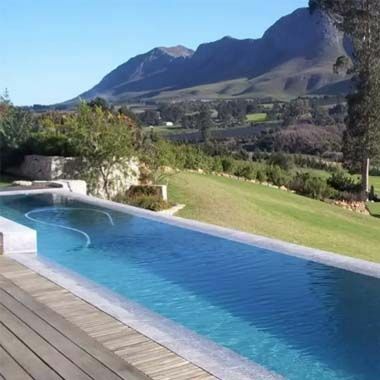 There is a wrap around roofed veranda and equipped barbeque area for outdoor living and entertainment. 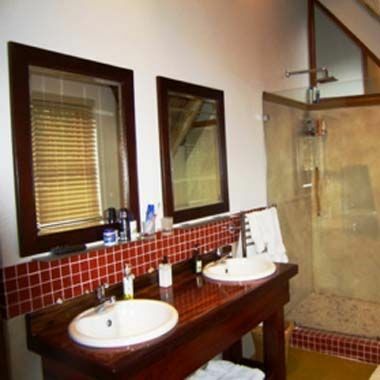 1 double bedroom with bathroom. Open plan living room with equipped kitchen and breakfast counter. French doors lead to a large private patio.